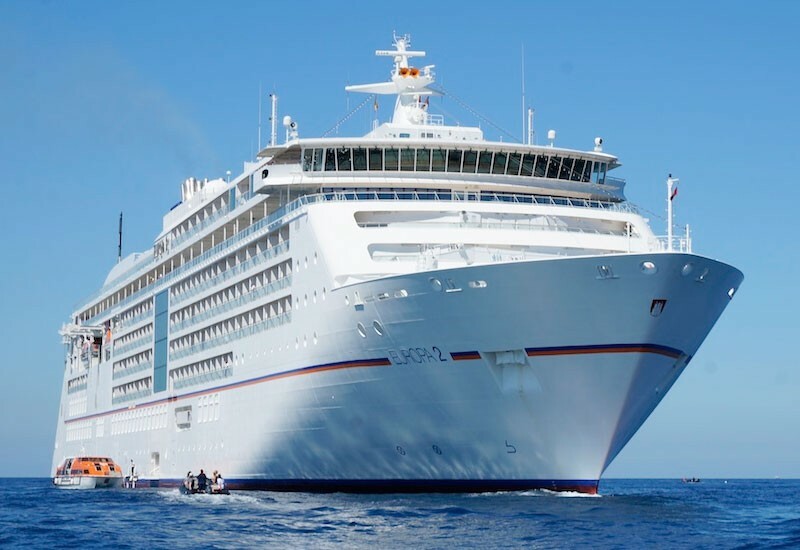 Your cruise on the EUROPA 2 begins after an overnight stay on board. Tahiti’s little sister is one of the most beautiful islands in the South Pacific. A boat tour* with wonderful views will get you in the mood for the South Seas. Travel to a motu, a small, uninhabited island where you can snorkel, sunbathe and enjoy a delicious typical picnic. The most famous of the Leeward Antilles combines pure luxury with idyllic nature. Explore this dream destination on an island tour* in a typical “le truck” past picturesque villages, a mighty volcano and the island’s most beautiful beach. A helicopter flight* over the lagoon is a spectacular alternative. The largest of the Cook Islands is covered with lush jungle that you will discover on a hike* with Pa Son, a native of the island, to his house. Even more excited about the underwater world? Then take a glass-bottom boat* to the Muri Lagoon. Enjoy the day. The “Island of Love” is home to the capital of the Kingdom of Tonga, whose unique culture you will see on an island tour*. At the end of a ride in the Zodiacs, a true South Seas idyll awaits you: white beach, turquoise water, uniquely formed rocky islands and a colourful underwater world. This dream island has around 100 permanent and happy residents. A few hours on the beach will be the perfect way to relax. From Fiji’s marina, you will take a tour* of the island. Bathe in a tropical waterfall during a hike through the jungle*. Exclusive water sports: our travel concierge will be happy to arrange an individual dive*, a snorkelling tour* or a kayak trip* for you in Port Denarau. What a spectacular way to arrive in New Zealand: Paihia Bay, guarded by the Cape Brett Lighthouse, welcomes you with plenty of cafes and boutiques, unique landscape, trusting dolphins and many leisure options. Connoisseurs and history buffs can look forward to a journey into the Maori past* and a visit to a renowned vineyard*.